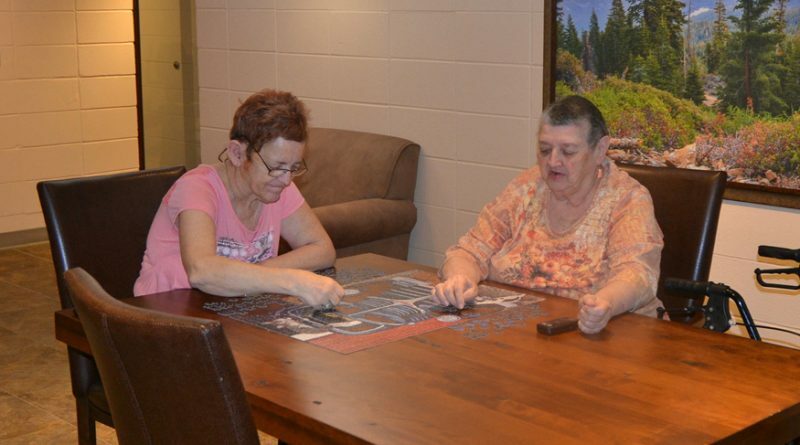 DUBUQUE — “I like living here,” said Darlyn Patterson Hackler, as she recently pieced together a jigsaw puzzle with a friend at the Ecumenical Tower apartment complex in Dubuque, where both are resi­dents. “There are such a variety of people who live here. I have made some very good friends. It’s a great community,” added the 81-year-old, who first moved into the building after her husband died in 2011. Ecumenical Tower is a property managed by Catholic Charities of the Archdiocese of Dubuque as part of the agency’s affordable housing program. 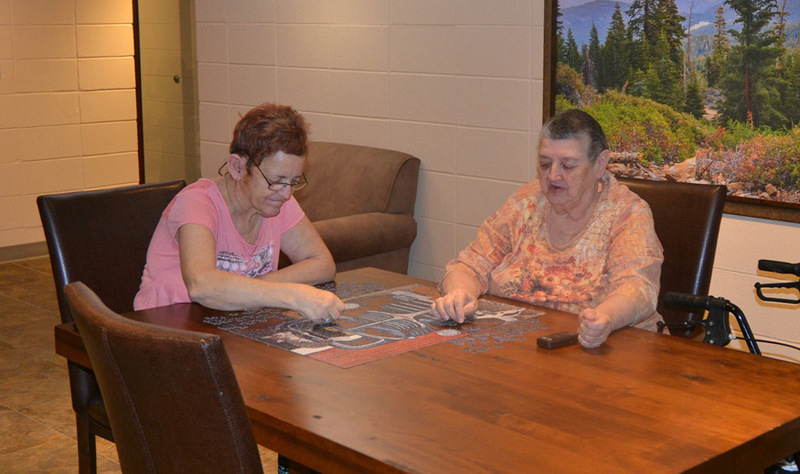 The 88-unit Ecumenical Tower offers accommodations to low-income seniors and adults with disabilities. Hackler’s connection to Ecumenical Tower is unique. Though currently a resident, she was one of the individuals instrumental in bringing about the building’s construction in the early 1970s. 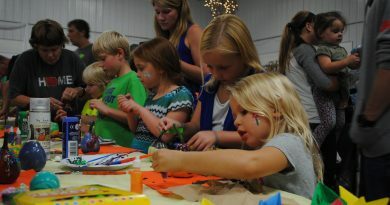 As a young mother involved in the local PTA, Hackler learned about the need for affordable housing in her community and volunteered her time helping Father Thomas Rhomberg, then director of Catholic Charities for the archdiocese, and others advocate for housing options for older adults with limited financial resources. “People would ask me, ‘Why are you interested in housing for the elderly at your age?’ And I would tell them, ‘I plan on living until I’m old, and I would sure like to think that there would be a place that I could rent at an affordable price,’” remembered Hackler. 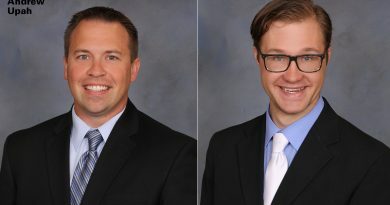 Matthew Roddy, the current director of housing for Catholic Charities of the Archdiocese of Dubuque, said while short-term housing had been part of Catholic Charities’ mission from the beginning, it wasn’t until the 1970s that the local agency got involved in permanent housing. 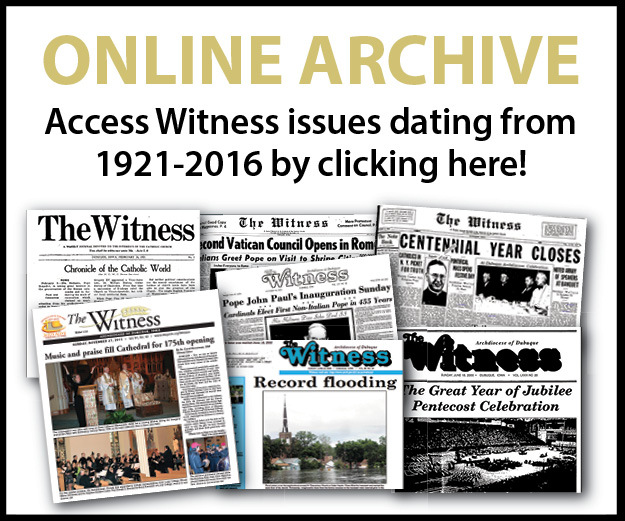 Roddy said even today, permanent housing is not a common program in many dioceses, especially those with populations the size of the Archdiocese of Dubuque. Today, in addition to Ecumenical ­Tower, Catholic Charities manages three other affordable housing properties in the archdiocese — Alabar Plaza in Waterloo, and Carter Plaza and Kennedy Park West, both in Dubuque. In total, about 350 adults and children living in 181 units are served through the housing program. Each of the four housing properties addresses different needs in their respective communities, so while Ecumenical Tower offers income-based rent for the elderly and those with disabilities in downtown Dubuque, across town, the six buildings of the Kennedy Park West complex offer a mixed-income community for individuals and families. 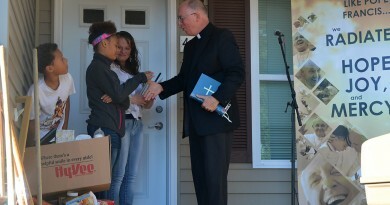 Though the purposes for the properties are different and who they serve vary, Roddy said that he and the other members of the Catholic Charities housing staff — which includes two site managers and three maintenance workers — strive to ensure that all their residents are treated with dignity and that the promotion of their well being remains the agency’s mission.